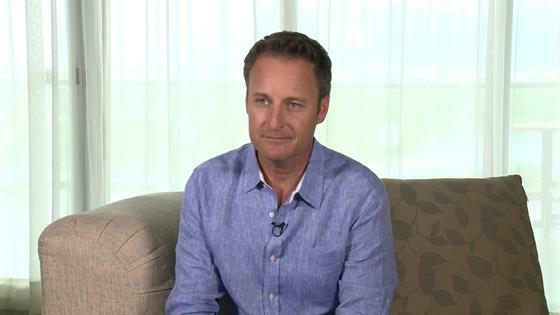 Chris Harrison on Using "BIP" to Find the Next "Bachelor"
Thought you knew everything about The Bachelor franchise? Think again. When the 28 or so contestants sign up for The Bachelor or The Bachelorette, they enter what is known as "the Bachelor bubble." No phones. No social media. No TV. But fans only get to see a small percentage of the actual process the lead and the contestants go through during the eight-week process, including how dates are picked, what the cast eats on a daily basis and when the show psychologist is brought in. Where Does the Lead Stay? While we know the contestants all live in the mansion (a private residence located in Agoura Hills, Calif. that a family of six lives in when the show isn't filming twice a year!) during the first portion of filming in Los Angeles, viewers never usually get to see where the Bachelor or Bachelorette is living. How Many Bathrooms Do the Contestants Have to Share? Prepare for college flashbacks as the cast has access to two bathrooms downstairs and then two bathrooms upstairs in the 9,000-square-foot home. "The getting ready is all upstairs where the bedrooms are," Mills said. Do the Contestants Ever Get Hair and Make-Up? While the lead is treated to professional hair and make-up all season long, the contestants must fend for themselves...unless they make it to the final rose ceremony. Yes, that means even on night one--when they are also worrying about their limo entrance and meeting the lead for the first time-- "they fix themselves." Talk about pressure. "That's the whole point!" Mills joked. How Does the Driveway Stay Glistening All Night? While the contestants change each season, one constant has remained all these years: the driveway is always sparkling, ready for its close-up as the limos filled with hopefuls arrive in the driveway. "That's a production assistant who's got a hose," Mills said. Shout-out to that PA! What Do the Contestants Eat? Prepare to feel jealous as the guys and girls basically can request anything they want during their time in the mansion. "They can make a grocery list and they can get sort of whatever they want," Mills confirmed. Basically, it's the human version of Postmates. Does Each Date Have a Back-Up Date Just in Case? Surprisingly...no. "Usually you just have to call an audible," Mills said, noting they haven't normally had to change their plans for a date...except for Becca's season, as L.A. experienced an unusually amount of rain during filming. Two planned outdoor dates were changed—the spa date with Becca's friends from The Bachelor and the Richard Marx date in episode three—last-minute because "the weather just didn't cooperate. But most of the time, certainly in LA, you don't get a lot of rainy days…even most of the places we travel, you know what the weather is going to be," explained Mills. "We have some sort of back-up ideas, especially when you scout a location...it's not like a 'OK, we're definitely going to have to plan back-ups here.'" Do The Leads Get Any Say in the Dates? Sort of. When they first agree to be the Bachelor or Bachelorette, producers will ask if there are any places they want to travel, any activities they like to do, any bands they particularly love, etc., with their preferences taken into consideration. How Long Do the Final Four Get to Stay in Their Hometowns For? Sadly, it's not much of a reunion for the four contestants who make it to the hometown dates, as "they still travel with producers." "They're there just for the day of their date," he confirmed. How Much Time Is There in Between Filming of the Overnight Dates? Oh, the fantasy suites...the first time the lead gets to spend off-camera time with the final three. Fans often wonder how many days there are in between filming of each of the overnight dates, and Mills said there are "two days between each date." Can The Contestants Explore the Locations They Visit? One of the biggest reasons many men or women seem to sign on to The Bachelor or The Bachelorette seems to be to add some stamps to their passports, should they make it far enough into the competition. But if you aren't invited on a date, you're basically just exploring the hotel room you're staying in in whichever country you visit. "They are sequestered. The producers will take them out sometimes, like as a group," Mills said. For example: "Like Arie [Luyendyk J. ], he has that Jean Valjean tattoo, that was because during Emily Maynard's season in London, the guys who weren't out on a date went on a group outing with one of the producers to go see Les Misérables." How Much Time Is There Between the Final Dumping and the Proposal? Sometimes during a finale, a lead is distraught after having to say goodbye to the runner-up, emotionally drained from telling them they aren't the one. Recently, viewers watched as Becca Kufrin needed time to compose herself after letting Blake Horstmann know she was choosing Garrett Yrigoyen. But is there a time limit put on their composure? "It's really how much time they need. They have to pull themselves together," Mills said. "Usually, it's such a difficult thing because you have to do the timing of it just right, because you don't want either one to thing something is array and then they kind of know their decision is going to be." What Does the Runner-Up Do After They Are Dumped? On The Ringer's Bachelor Party podcast, two-time finalist Nick Viall revealed the runner-up sees the show's psychologist within a few hours of being broken up with. If a Couple Splits, Do They Get to Keep the Ring? Sort of...it depends on how long they stay together. Basically, if you make it past the two-year mark, you get to keep the Neil Lane bling. If the couple breaks up before that milestone, the ring is returned. So yeah, Lane has welcomed back plenty of his creations over the years. When it comes to Bachelor in Paradise, How Do They Decide Which Night One Eliminees to Bring On? While the cast is usually made up of fan-favorites and memorable villains, there's usually a few people who walk onto the beach that turns the viewers into owls, asking "Who?!" as they were sent home by the lead by the end of the first night. "That first night is hard because, especially when it's 28 or 29 [people], you're going to meet all these people and it's really tough. There's certain people you have instant chemistry with and then others...if things had gone one way or another, it would've been Grocery Store Joe [Amabile] staying and, I don't know, Connor [Obrochta] might've left," Mills said. "You always have those people ear-marked where you think, gosh, I know there was something really interesting in this person and we just didn't get to see it, so we have to bring them to Paradise. That's why we love Paradise. It's a second chance for favorites who could've been a Bachelorette like a Tia [Booth] or a Kendall [Long], and it's also a great place for people who didn't get to make their marks the first time." And, of course, there's also another major factor: "A lot of is you have to remember too is just who is single at the time we're filming, who's available? They have to leave their jobs, that's a really, really difficult thing." Bachelor in Paradise airs Mondays and Tuesdays at 8 p.m. on ABC.